There are stacks of operational risk reporting systems on the market however, in general many of these risk solutions are overpriced and unsophisticated programs. So, why not build your own operational risk reporting system? In this post we look at building a risk modelling system from the ground up and believe me, it isn’t as hard as you may think. When a generally unscrupulous salesman approaches me to flog their risk reporting tools, I filter the men out from the boys as the saying goes with one simple question; Does your risk system model parametric perspective of loss? If the answer is no, which is so often the case, then there is really no point talking much further. A risk reporting tool which captures loss values and other important risk metrics such as Control Self Assessment scores, will be less suited to initiatives such as Basel II unless it can generate a Value at Risk number. In my opinion, one of the biggest hurdles holding back the operational risk discipline in general is the inability or lack of interest for modelling loss events in a coherent manner. There are many other problems businesses and risk analysts face such as: Management myopia around the importance and application of risk management from the outset, poor classing of risk events, lack of supporting event data and the list goes on. But all of this aside, if you don’t start out with an end goal in mind, then you will fail before you even kick off your risk program. In most risk systems, even more so it seems in operational risk, specific elements are brought together to form a fully functioning risk framework. These elements operate in an integrated or converged way to paint a varied and clear perspective of potential hazard. In our example risk system above, we have both forward looking initiatives such as Key Risk Indicator sets as well as historical loss data collections. Both metrics improve the accuracy of reporting realized loss experience. The focus of the debate today is not on the elements themselves or how they are deployed in an enterprise risk system but on how data from these specific elements can be combined. If we can combine the data into one view, then relatively more statistically advanced risk reports can be generated and these reports can show the relationships between operational risk factors. We have chosen to use R-Project to model our risk event horizon for several reasons. Firstly its extensible function library allows for modelling of Extreme Value Theory tail fits in a straight forward manner, it comprises a statistical language which can be used to convert mathematical models into reality, it has a massive community of experts contributing to the statistical library and interestingly of all, this wonderful technology comes for the sweet cost of absolutely nothing. Yup it is free! It only took a couple hours to build our basic framework and the interface wrapper connected Microsoft Excel to R-Project in a stable manner. In short, just a few hours of work and we were able to model operational risk data in quite an interactive manner. 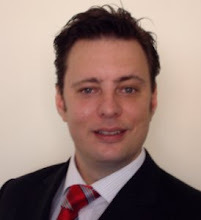 Cau sal Capital - Martin Davies is a risk framework architect with strong domain knowledge across a diverse set of risk fraternities, a background in banking front-to-back and the ability to articulate business requirements into functional information technology concepts. He is focused on structured products for emerging markets and works with several tier one banks, regulators and brokerages across South East Asia.